Do you have a voice strategy yet? Voice is set to be the new mobile, with skills and actions as the new hottest apps. Every brand should be ready to jump on board with voice; but first, these brands must ensure they are providing the best user experience possible. Like smartphones did more than a decade ago, voice interfaces are changing the way consumers interact with brands. By 2022, 55% of U.S. households will have at least one smart speaker. How can organizations leverage the voice boom? Find out how you can deliver unique and seamless voice experiences that are relevant and functionally sound for users everywhere - regardless of location, language, dialect or device. As a trusted Alexa testing provider, Applause has emerged as an expert in voice testing. Join us on Thursday, January 31st at 1:00 PM ET / 10:00 PT and discover the keys to driving five-star voice ratings. Emerson is a Tech Evangelist and Solution Architect for Applause. 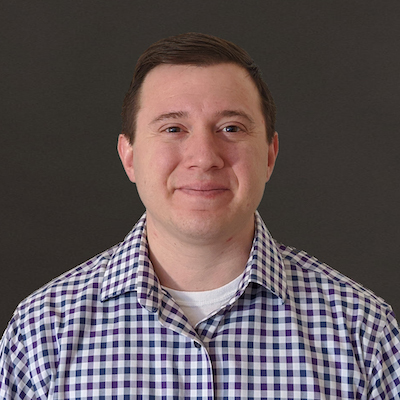 Since joining Applause in 2015, he has helped countless companies improve quality across every phase of the SDLC through a human-centric, community-driven approach to testing. Before Applause, Emerson worked for Borland, the Army Intelligence and Securities Command and the Army Research Lab. Outside of work, he enjoys cooking overly elaborate meals through science, adventure cycling and volunteering with the Boy Scouts of America. Applause is the worldwide leader in crowdsourced digital quality testing. With 400,000+ testers available on-demand around the globe, Applause provides brands with a full suite of testing and feedback capabilities. This approach drastically improves testing coverage, eliminates the limitations of offshoring and traditional QA labs, and speeds up time-to-market.